I bet it’s a tough choice to decide to wear make-up to jail or not. She probably won’t have access to any eye make-up remover for a while, so it’s a bold choice on Khloe’s part. Her family was there with her when she turned herself in. Thank God it wasn’t Kim. She would be a bottom bunk for sure. 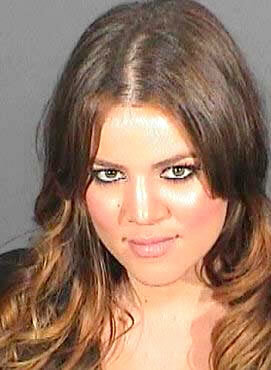 Khloe can totally take care of herself in the clink. P.S. I wrote this about an hour after she went in which turned out to be 2 hours before Khloe got you. Crazy. Hey there! Brilliant writing, I am just really intrigued due to there isn’t many worthless user comments on this website as there is on a lot of sites on the web these days, so you have done a excellent job of managing your site. Regardless, keep making interesting content on your blog and I’ll keep visiting Cheers, Steve.